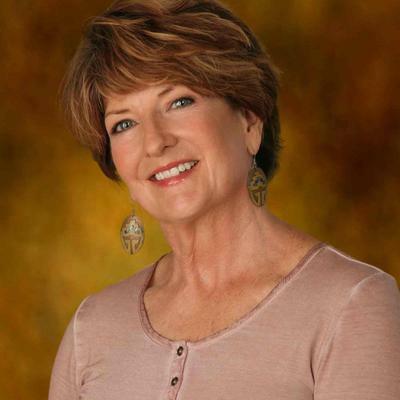 This week we are blessed to have multi-published author Rhett Devane’s post on why she writes. Good advice for us all! The publishing industry has changed since my first novel hit the market … years ago. The economy tanked, e-books gained momentum, and “what’s hot” continued to shift with the wind. I’m not new to weaving words. My mama often commented that I worked out problems with imaginary friends and tales even before I had written language skills. Last year at a week-long writers’ retreat, I hit “the wall.” Suppose most writers do at some point. I had six published novels in my stable—four traditionally produced by small presses, and two coauthored self-published works. Several completed novels idled in computer files, begging for revision. Five computers, three printers, and countless pens had met their worn-slap-out deaths. At the beach retreat, I walked on the shore, wrote, cried, and talked to my heart-close writer friends. Was it time to quit? Was it making me happy? The time removed from daily concerns proved golden. Four main epiphanies bubbled through the quagmire. 1. I write to make sense of my world. To bring light and laughter. 2. It is—and never was—about money or fame. 3. To stop would be akin to not breathing, not fully engaging in life. 4. Even with its tears and fears—creating stories is my true purpose. That, and consuming good coffee and chocolate. Okay, so not all of the thoughts were profound. As soon as I got out of my own way, the muses perked up and stormed in, full of fresh ideas on how and where I should proceed. I listened. They haven’t led me astray yet. The muses agreed. I looked at the manuscripts with fresh, more experienced eyes. 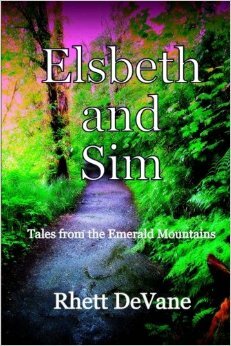 The first book in the Tales from the Emerald Mountain series, Elsbeth and Sim, is now available as a paperback and Kindle version. There you go, Mama DeVane. Doesn’t mean I will neglect the other novels in the holding pen. Suicide Supper Club, Southern fiction, is slated for release in the spring of 2014. I plan to produce book two in the Middle Grade series in the fall of 2014. A second series of Middle Grade fiction is in the works too. I decided not to allow others to dictate my progress. Yes, I would love a major contract. Who wouldn’t? But for now, I have taken control. Hang on, Mama, I’m in the driver’s seat. Heaven help. I have learned to format for print and Kindle, and how to design the cover. And I have slaughtered more than a handful of brain cells in the process. Don’t tell me I can’t do something. Throughout my career, I have had the pleasure of working with excellent editors: developmental editor Susan Mary Malone, copy editor Paula Kiger, and my middle grade editor Adrian Fogelin. Also, one delightful agent Cherry Weiner, who believed in me and gave me confidence to press forward. I’ve worked with the Wild Women Writers critique group for over two years, and I’ve met some of the finest people on earth—my fellow scribes. As for that wall? Wasn’t brick. Wasn’t even board. It was tissue paper and I put it through the shredder. Beautiful post, Rhett! I remember out talks last November. You are the best! Press forward, never say, die!